Numenera Discovery and Destiny, also called Numenera 2, are giving the Ninth World a serious update. The world is about to get a little weirder and a little brighter thanks to the already monumentally successful Kickstarter for Numenera Discovery and Destiny, both of which present an update to the existing Numenera while offering players and GMs alike new options and new directions to take the game in. This is one of the releases from Gen Con that I’m most excited about. 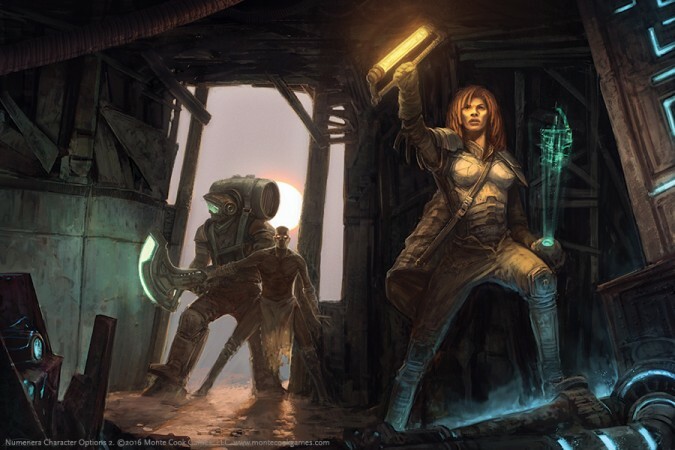 The focus of Numenera Discovery is all about exploring ruins and clarifying for GMs good methods for designing your own ancient ruins full of strange and wondrous technology. Numenera was always full of places to explore, and Discovery gives you the keys to help put the missing pieces into the puzzle. Of particular interest is figuring out how to make the ruins FEEL like Numenera. That strangeness, that feel of lost wonder is at the heart of the game. 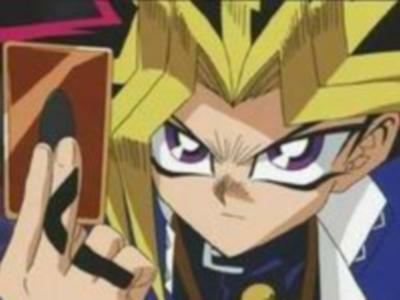 Speaking of the heart of the game. Heart of the game, I said. Numenera Destiny adds an even more exciting wrinkle — it gives new purpose to Numenera characters. It adds the rules for building a settlement out of recovered Numenera and creating a refuge and then a bastion of civilization in the Ninth World. It’s about something that had been missing–Hope. Set a billion years in our future, Numenera is a tabletop roleplaying game about exploration and discovery. The people of the Ninth World suffer through a dark age, an era of isolation and struggle in the shadow of the ancient wonders crafted by advanced civilizations now millennia gone. But discovery awaits for those brave enough to seek out the works of the prior worlds. Those who uncover and master the numenera can unlock the powers and abilities of the ancients, and bring new light to a struggling world. The original Numenera RPG was launched via a 2012 Kickstarter campaign that shattered every record (at the time) for tabletop RPGs. The corebook has seen four printings, and Numenera is enjoyed by tens of thousands of gamers in an active global community. We have published over 60 supplements and accessories, and released a terrific starter set for new players. 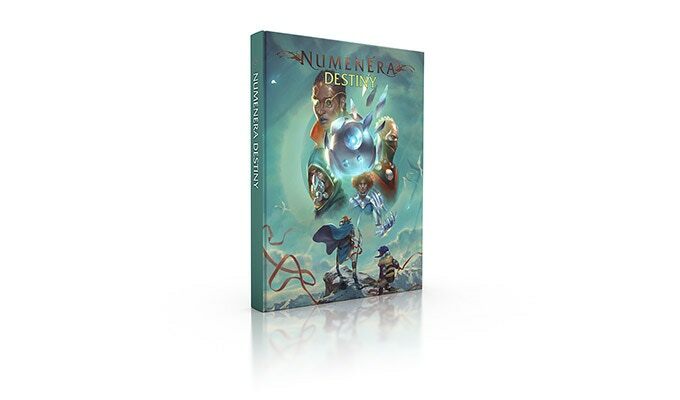 The Ninth World has spawned a critically-acclaimed hit computer game, board games, an excellent short film, a line of novels, and other licensed items, and Numenera has been translated into many languages including French, Spanish, Italian, Korean, German, and Portuguese. Numenera is a game in which player characters explore the ruins of aeons past to gather amazing treasures and help build a new future for a world struggling in darkness. Since the launch of Numenera in 2013, we have delivered well on the first part, but we’ve always wanted to do a more thorough job exploring that second part. That desire has led us to Numenera 2 and this Kickstarter campaign. Through this Kickstarter we’re going to replace the existing corebook with two new corebooks. The first is called Numenera Discovery and the second Numenera Destiny. 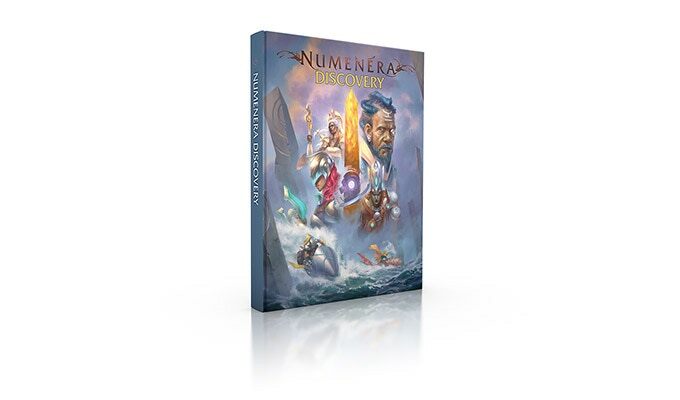 Numenera Discovery will be a book that covers familiar territory; it is basically a revision of the original Numenera corebook. 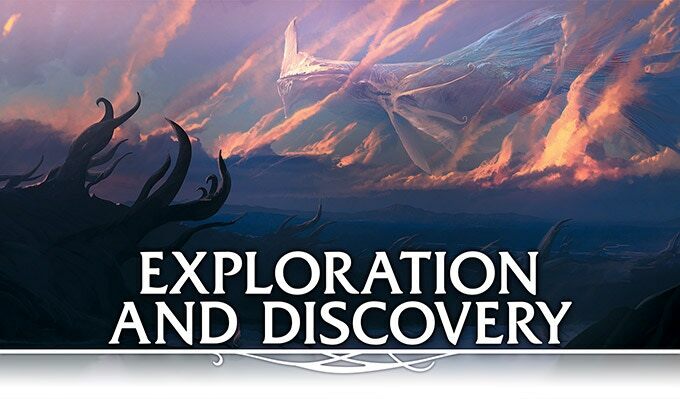 Next summer, we will allow the original corebook to go out of print, and Numenera Discovery will take its place. In Numenera Discovery, you’ll get some revisions to make things clearer and more fun, and to increase the options available to players. Nanos, Jacks, and Glaives will get an overhaul. Many foci and some of the descriptors might see some reworking. You’ll have more options, clearer rules, and perhaps a bit of expansion to the regions of the Steadfast and the Beyond that are covered in the existing corebook. And naturally, Thera all kinds of cool backer exclusives, stretch goals, and the like. The Kickstarter is already funded, with over 400,000 of a requested 80,000. So it’s definitely happening–this is your chance to help shape the campaign. Backers will help create the first new community in Numenera, Ellomyr, so check out their page and get involved. Or try Numenera Disco, Kickstarting late 2018.